Millennials don’t seem to have the penchant for old-school gambling that their parents did, and casinos in Las Vegas, Atlantic City, and elsewhere continued to struggle to find the magic formula that would win their business in 2017. The challenge of rebuilding the very core of the gaming industry has not been a small one, that’s for sure. With millennials less than enthusiastic about traditional games of chance, like slots, casinos are facing the realization that the central moneymaking products of the industry might be going out of style in years to come. From skill-based gaming terminals and esports, to booking hipper, younger entertainment acts, gaming operators moved into new realms, with mixed results, in 2017. Here’s a look at what worked, and what didn’t. Skill-based gaming is the idea that mixing chance with elements of aptitude, allowing someone’s talent to play a role in influencing payout percentage, makes the activity more exciting. That, of course, greatly differs from slot machines, which come with fixed odds. Nevada and New Jersey gaming control boards have both approved regulations that allow skill-based machines to offer varying payout percentages, dependent on the gambler’s ability. Casinos thought they had finally figured out the millennial, and made agreements with gaming manufacturers to test skill machines on their floors. But things didn’t always run according to plan. 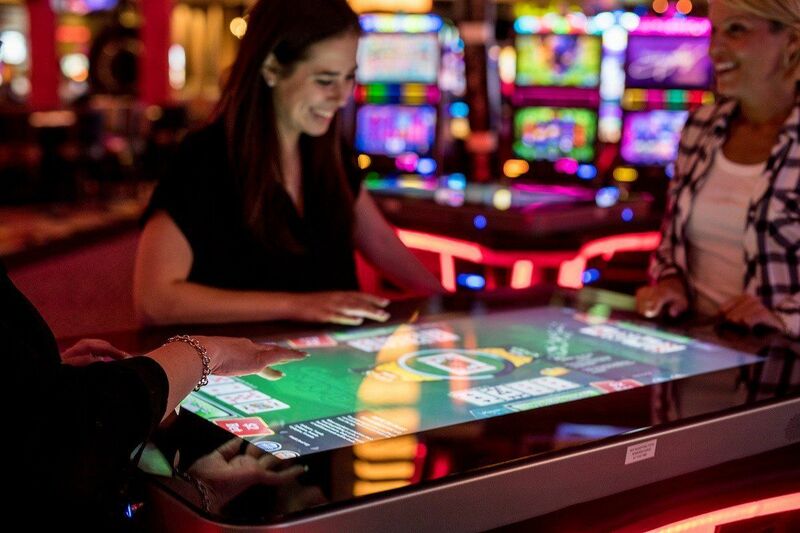 In 2017, Caesars returned to the millennial by installing three Gamblit Model G interactive gaming tables at Planet Hollywood Las Vegas. And this fall, the casino welcomed Gamblit’s TriStations, which each offer three skill-based gaming stations in a social environment. 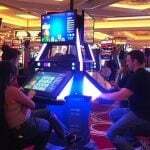 TriStations were also spotted at The Venetian, and the machines have been installed at numerous other locations nationwide. Planet Hollywood is seen as the perfect millennial test ground, as the resort is home to Britney Spears’ residency. Which brings us to the next millennial lure of 2017: a new kind of performer who would appeal to younger audiences. Move over Cher, Celine, and Elton. Casinos from Las Vegas to Atlantic City have begun looking to younger and more current entertainment acts to bring larger crowds and a new generation onto their properties. From touring stage shows like Impractical Jokers to booking residencies for Mariah Carey, Jennifer Lopez, and Adam Sandler, casinos are focused on acts that appeal to those born between the early to mid-80s to the mid-90s, with the latter group just coming of legal gambling age now. The hottest buzzword in the industry in 2017 was “esports,” competitive video gaming that’s quickly emerged from parents’ basements and transformed into a multibillion-dollar industry. Esports has grown in popularity so rapidly that it even attracted Nevada Governor Brian Sandoval’s (R) attention, who said he hopes the state and Las Vegas can become the esports capital of the world. Reaching that goal commenced by legalizing esports wagering at Nevada’s licensed sportsbooks. The Downtown Grand’s William Hill book became the first to take bets this year. Las Vegas is catering to esports, predominantly played by millennials, by building out spaces focused on the games. MGM Resorts unveiled a millennial playground called “Level Up” this year, the Downtown Grand has a dedicated video gaming lounge with live weekend tournaments, and a 15,000-square-foot esports arena opened on Fremont Street. The Luxor is also in the process of converting a former nightclub into a permanent multilevel esports facility. Millennials, 20 somethings or whatever else you want to call them have NEVER been big gamblers, they have no money. They never have and never will. Todays Millennials use credit cards which give them access to the venues where they can party and be around partiers within social venues. No matter how much money MGM and Caesars spends on developing areas for Millennials, they will never get them to gamble because, they have no money and reserve the credit card balances for the night clubs and social venues. AND, SKILL BASED slots will fail, they have and will continue to. Forget about millennials and spend your marketing dollars on the people who are actually paying your bills, the 50+ aged gamblers. 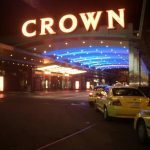 How the casino industry accommodates Millennials reminds me of the industry going back to 1990, when I was briefly President of the Las Vegas Sands, a revolving door position; as the older, smaller casino resorts had to compete with the new Mirage, across LV Boulevard, from the Sands and its new Expo Center. If we follow the Las Vegas Strip’s progress over the last half century; we will learn that our primary goal should be the resorts bottom line, not necessarily the casino win. 50 years ago, even as recently as 1990, the larger Strip resorts comped or severely discounted room rates, food, beverage and entertainment, in order to keep players in the casino. Smaller conventions and trade shows were welcome, as long as all of the attendees and exhibitors stayed at the host property, like the LV Hilton. This casino only concept was, and still is, followed in Atlantic City and Biloxi. But when the LV Sands opened their Expo Center in 1990, they had to face the reality that most casinos did not want customers that didn’t gamble. Needing accommodations to house America’s largest trade show, with 170,000 attendees and exhibitors, Sheldon Adelson game me the responsibility to find rooms for Comdex guests. With all of the exhibits, functions, speeches and meetings to attend, few resort casinos were willing to provide the necessary rooms, for the computer industry trade show. . So we offered to triple their existing mid-week room rates, promised them profitable banquets, and to rent all of their meeting and exhibit space (at least at the Hilton, Caesars Palace and Bally). In exchange The Interface Company, Sheldon’s company that owned Comdex, would provide free buses to all resorts housing the attendees, and receive a 10% booking commission. In addition I suggested that their restaurants would be replacing comp with cash customers. Only Circus Circus turned me down, but I got a call from CEO Bill Bennett, on Comdex’s first day, asking for our bus service to his many properties (I guess our reservation personnel forgot to mention Comdex, when booking Circus rooms). That was the first year that Las Vegas passed Chicago as the top North American convention destination, a distinction repeated for most of the following 27 years. And during that time non casino revenues have grown from less than 30% to 66% in fiscal year 2016. But the more important detail is that the non casino earnings were 74% compared to the casino department’s 26%. 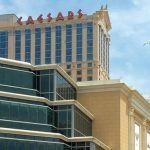 Unfortunately, Atlantic City has not learned this lesson, still relying on the casino for 71% of their revenues, and over 100% of their total departmental earnings. Slot manufacturers may never find an acceptable way to produce games that satisfy the Millennial group, that grew up on video games that took minutes to play, not 5 or 6 seconds, like our current popular slot machines. But there are many other departments that now produce profits; and forward thinking casinos, like MGM and Wynn are developing areas in their properties where groups of Millennials can get together and participate in things like e-Sports or competitions; with the casino profiting from food, beverage, entertainment and possibly room revenues. Las year the 24 largest Strip resorts, made 50% more from the rooms department (93% occupancy at $172 average rate) than the casino, and comped only 21% of their rooms (AC comped 54%, with a respectable 85% occupancy, but a severely discounted average room rate of only $107).